Thanks for attending and making the Jersey Wakeoff the best day at the lake! Stay informed on our Instagram and Facebook for contests and giveaways as well as more information for this year! Make sure to mark your calendars for August 10 and come out to watch or compete as the best riders in the area come to throw down, get air, and win! NO DOGS WILL BE ALLOWED INTO THE VENUE UNLESS THEY ARE SERVICE DOGS. SEE YOU ON THE 10th!! 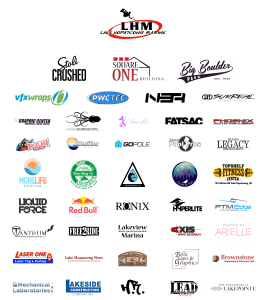 We have to send a huge thank you out to each and every one of our sponsors! Without them Wakeoff wouldn’t be half the event that it is today. All of their contributions make this event possible. Show them some love!